LAKE CHARLES, La. 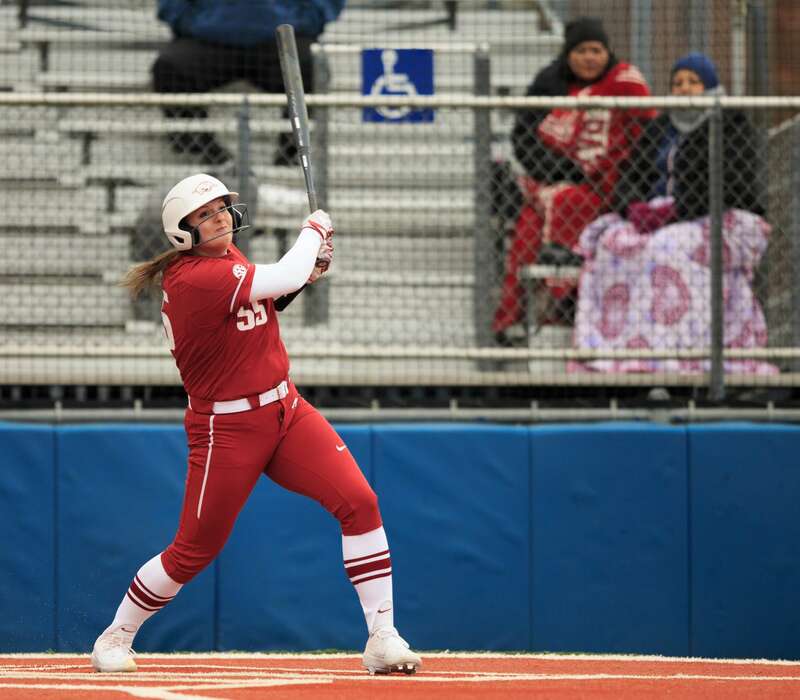 – The University of Arkansas softball team was in mid-season form on Friday (Feb. 8) as they took down both opponents on day one of the Cowgirl Classic. Now sitting at 2-0 one day into their 2019 campaign, the Razorbacks opened with a 7-3 victory over Campbell and capped their day with a statement 6-0 win over McNeese. Junior Autumn Storms and sophomore Mary Haff each recorded a win in the circle. The Razorbacks will return to Joe Miller Ballpark on Saturday (Feb. 9) for day two of the Cowgirl Classic, taking on Samford at 12:30 p.m. (CT) and Lipscomb at 3:00 p.m. (CT). While Lipscomb is a never-faced opponent, Arkansas has matched up against Samford once before, defeating the Bulldogs in Hattiesburg, Miss. in 2009 (6-2). With the bases loaded, Gibson returned to the plate in the second inning, where she put the ball in play, allowing Sydney Parr and Maggie Hicks to score. Warrick reached first on a fielder’s choice and Diaz followed with her second double of the game. The Razorbacks now had two in scoring position, with two outs, and Kayla Green up to bat. Warrick would be the one to step up to the plate and take a 1-2 count from McNeese’s Alex Flores over the left field wall for Arkansas’ first run of the game. Now leading 6-0, the Razorbacks had only to hold strong defensively to outlast the McNeese Cowgirls, and that’s exactly what they did. Arkansas’ series with McNeese advances to 3-1 with the 6-0 win, the shutout is Haff’s 12th of her career.